The Cuddle Me Program is the first phase of developing healthy, happy children. Like hunger, a lack of diapers has a profound impact on a child and family. Without enough diapers, parents are sometimes forced to change their babies less frequently or reuse soiled or wet diapers, putting children at high risk for painful diaper rash, infection, illness and worse: Studies show that a child who cries frequently—and children with diaper rash and infections generally do cry more—is more likely to suffer abuse. Diapers are essential to the daily care of an infant or toddler, and yet many families cannot afford them. A typical infant uses 10 to 12 diapers a day, adding up to about $100 to $120 per month, a cost not usually covered by federal or state assistance programs. The Cuddle Me Program seeks to bridge the gap by providing free diapers and wipes—as well as formula, cereal and other essentials—to babies in need and their families. We reach families through a growing network of partners already embedded in the communities we serve. More than 2.8 million diapers. Clothing and baby equipment for many, many children. Whether you can donate diapers and supplies, volunteer your time, or suggest distribution partners to expand our reach to families in need, you can invest in children and the future. Support us with your own shopping. You can also support the Cuddle Me Program whenever you shop online, simply by clicking through iGive.com or Amazon Smile, which donates a percentage of sales to our program at no cost to you. 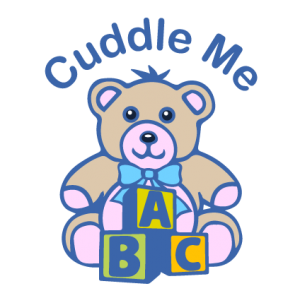 Copyright © Cuddle Me Program Site Design and Hosting by SherwoodWeb Cuddle Me Program currently uses Google Grant management by Elevate Clicks.